After we had finished our classy and – obviously – fancy dinner, my husband paid the bill, grabbed the toddler, threw him on his shoulders and walked out the door. That left me with the older – and usually – more manageable two. As we walked to the parking lot, these boys were just giving each other the business. Like, way too much hitting and kicking, as far as I was concerned. In a massive attempt to redirect this borderline insanity, what popped into my mind was the old childhood song my mom used to sing to my brother and me, Little Bunny Foo Foo. So there we are, in a Hooter’s parking lot, and I start to sing, “Little Bunny Foo Foo, hopping through the forest, scooping up the field mice and bopping them on the head.” That’s when I smack my 10-year-old upside the head as he and his brother laugh uncontrollably. “More, Mommy,” screams my 5-year-old. “And along came the good Fairy, and she said, Little Bunny Foo Foo, I don’t like to see you, scooping up the field mice and bopping them on the head.” This time, the 5-year-old got the smack. By then, we’d finally made it back to our car. And the kids wouldn’t stop singing Little Bunny Foo Foo. They’re right. Everything is on YouTube. 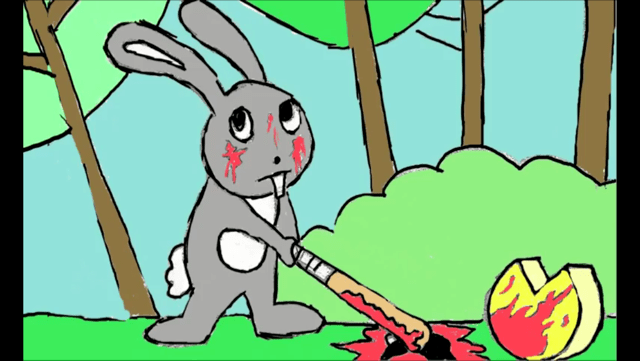 And Little Bunny Foo Foo is a homicidal maniac. I don’t think anyone in the house is sleeping tonight. I came home from kindergarten singing that song so many days in a row that my parents called me bunny foo foo for many years after that. Whenever my kids get stuck on something my parents remind me the apples haven’t fallen far from the tree. They love telling my kids about it. It was 37 years ago. I won’t be teaching my parents about you tube any time soon. The video is amazing. Might have been an slight oversight in just showing it to the children without screening first. I can just imagine the psychiatrist’s reports now.